Bulls blood is an heirloom beet from 1840 primarily grown for its tender, sweet, deep red-burgundy tops/greens. 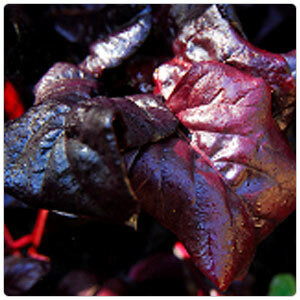 Bulls Blood glossy magenta leaves can reach 16 inches high, but are best when picked when small, young and tender. Eat the smaller leaves in fresh salads or sauté, wilt or braise them as a vegetable component.